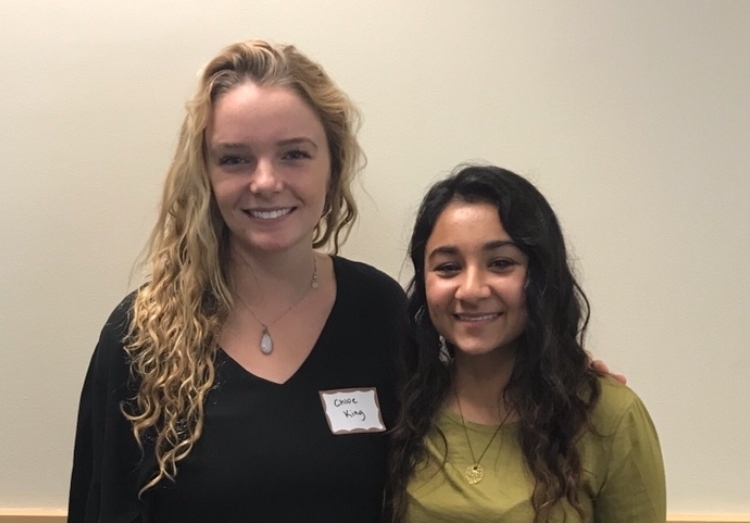 2018-2019 Knapp Fellowship awards were given to Gillian Joseph for her project Find Our Women, which is an initiative focused on Missing and Murdered Indigenous Women in the US and Kristen McInerney for her project on Fostering resilience in Newly Arrived Immigrant Students. The Steven and Diane Robinson Knapp Fellowship for Entrepreneurial Service-Learning has been established at the George Washington University by Steven Knapp and Diane Robinson Knapp to recognize, reward, and facilitate creative public service and academic engagement. 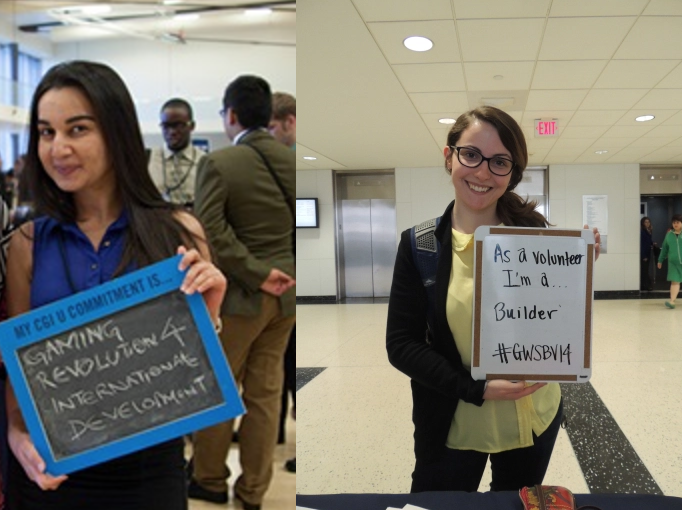 GW undergraduate and graduate students may apply independently or with a group of students and are selected to design and implement entrepreneurial service-learning projects. Chosen fellows work with the Honey W. Nashman Center for Civic Engagement and Public Service and may work with other students or community partners to execute a project that makes a significant difference to the lives of others. Additionally, fellows must work throughout the project with a faculty advisor who guides research on the issue, implementation of the proposal, ongoing reports and assessments, and a final work of scholarship. The award will recognize one or more innovative proposals each year and will provide support for their implementations with up to $10,000 in award per academic year. Selection is at the discretion of the Provost, who reviews recommendations made by a committee of faculty and representatives from the Nashman Center for Civic Engagement and Public Service. The award will recognize one or more innovative proposals each year and will provide support for their implementation. Up to $10,000 will be awarded each academic year. Undergraduate and graduate students with one more semester may apply independently or with a group of students to design and create solutions that will make a significant difference in the lives of others. GW undergraduate and graduate students, working individually or in teams, are encouraged to apply. Step 1: Contact Rachel Talbert for an initial advising meeting. Step 4: Selected Knapp Fellows implement their scholarly work and community project in the 2019/2020 academic year. To learn more about current and previous Knapp Fellows and the application process click here. You can also learn more from the current Knapp Fellows and their faculty advisors at the upcoming Symposium for Community Engaged Scholarship, Friday, April 26th at 2:30pm. Dr. Wendy Wagner is the Nashman Faculty Fellow for Academic Service-Learning at the Nashman Center. She also teaches leadership and social justice courses in the Human Services and Social Justice program. Before coming to GW, Wendy served as the Director of the Center for Leadership and Community Engagement and assistant professor of leadership and community engagement in New Century College at George Mason University. Wendy’s scholarship is related to the study of student leadership development, as well as facilitating college student learning and development through community-based learning experiences. Her most recent research is aimed at understanding the varying perspectives and motives of community-engaged faculty.